Fundamental Analysis Report – Microsoft, Sleeping Giant? Microsoft is one of my favorite companies. It has a solid track free cash flow generation, decent growth and almost no debt on its balance on its sheets. And best of all, its trading at a ridiculously low valuation over fears that its lagging behind in the technology industry. While I agree that some of the criticism of Microsoft is valid, people seem to be forgetting that Microsoft has an incredible franchise with Offices and Windows. I won’t go into the details (you can find it in the presentation) but suffice to say, I feel that Microsoft is trading at an attractive valuation relative to its current performance. Despite all the negative flak, Microsoft has been growing its bottom line really well over the past few years. 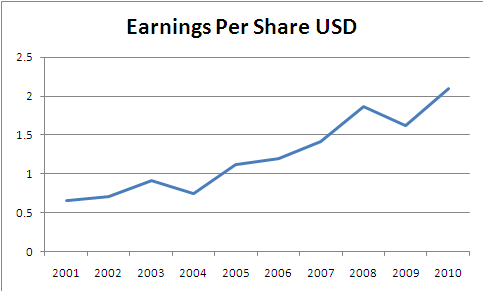 Its average annual growth rate in earnings per share is 13.7%. Microsoft has done really well in this respect. 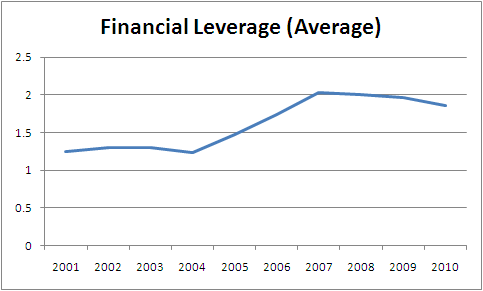 It has little debt on its balance sheets and recently issued long term bonds at record low interest rates. 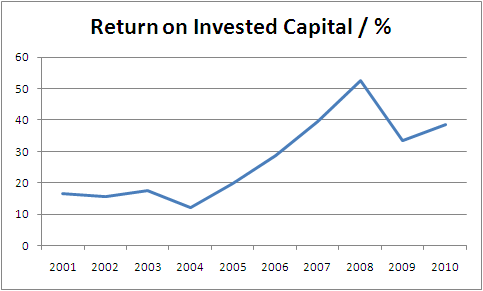 Returns on Invested Capital averaged 27.4% over the past few years. 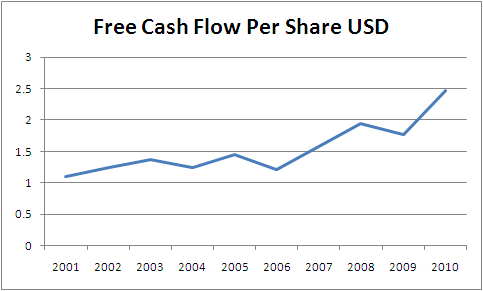 Similarily, Free Cash Flow has been growing a steady rate of 9.3% on average per annum. One of the criticisms I hear about Microsoft is that the stock hasn’t moved anywhere for the past 10 years (its been hovering around $20 – $30). I would like to highlight an extremely important point in investing. 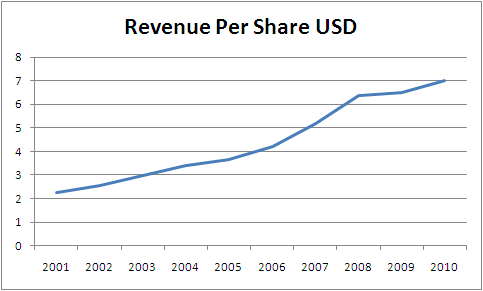 Prior to 2008, Microsoft was trading at an average PE of 25 i.e. it was trading at an extremely generous price relative to its intrinsic value. One of the key principles of value investing is to always demand a margin of safety. Always remember, no investment is ever worth overpaying for – no matter how good it looks.